He will serve an initial term effective immediately to June 30, 2023 and may be renewed for a further term by mutual agreement following a performance review in accordance with university procedures. Prior to taking up the role as acting vice-president research, Dr. MaGee was dean of science on the Fredericton campus and a professor in the chemistry department. 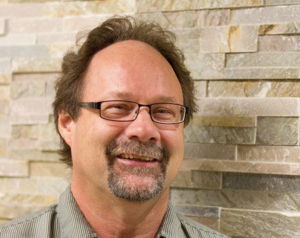 He has worked at the university since 1990, when he joined UNB as an assistant professor. From 1999 to 2007, he served as chair of the chemistry department. Dr. MaGee earned his PhD in synthetic organic chemistry and his BSc from UNB. Dr. MaGee has taken part in a number of research collaborations with a variety of partners from government, industry, and academic sectors. He has been actively involved in teaching and revamping courses at all levels, ranging from first- and second-year courses to smaller, more specialized senior undergraduate and graduate courses. He has served on university committees including academic planning, strategic research planning administrative bargaining.